Giovanni Soldini’s Italian Multi 70 Maserati was the first to cross the finish line of the RORC Transatlantic Race in Grenada, taking multihull line honours. The Maserati team completed the 3,000 mile race between Lanzarote and Grenada in an elapsed time of 6 days, 18 hours, 54 minutes and 34 seconds. 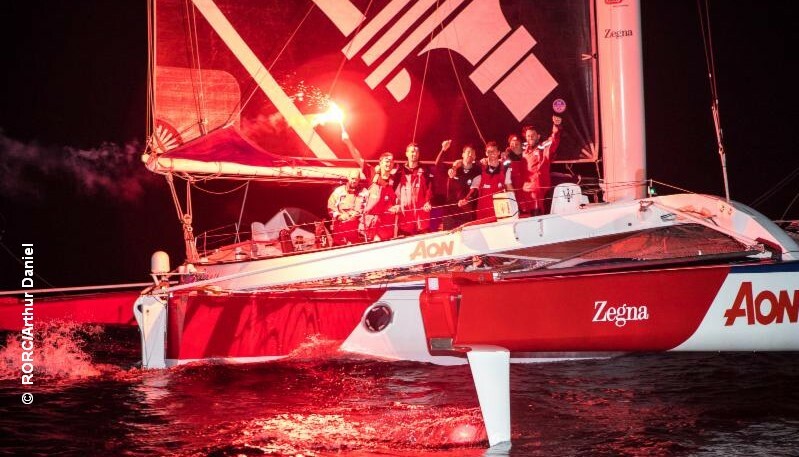 They were closely followed by Peter Cunningham’s MOD70 PowerPlay, who crossed the finish line off Port Louis at 07:40:12, after an Atlantic duel between the two mighty trimarans. Next to arrive in Grenada will be the monohull and largest yacht in the race, Pier Luigi Loro Piana’s Baltic 130 My Song who at 08:00 UTC have 1,171 miles to run. They are chasing the Monohull Race Record set by Nomad IV in 2015 of just over 10 days and 7 hours.